Silvertree Hotel is the location of the Rocky '06 meeting. The Silvertree Hotel is located in Snowmass Village, thirty feet from the Snowmass Conference Center and is on the Snowmass Village Mall and Fanny Hill. 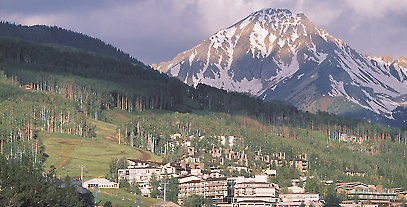 Snowmass Village Mall has more than fifty shops, boutiques, and restaurants, and is the hub for many exciting activitie. Fanny Hill offers direct access to ski lifts. Extra person charge is $25 per person per night. Children under 12 stay free in parents’ room. The hotel rates will be subject to all state, county and city taxes in effect at the time of of the ISCB meeting. State tax is currently 12.3% and is subject to change. Cut-off date to receive reduced group rate is November 1, 2006. After this date, rooms, if available, are at prevailing rates.